The 2017 Mercedes-Benz CLA has arrived at Ray Catena Union LLC and is ready for drivers from Union, Westfield, and Plainfield, NJ to test drive and explore today. 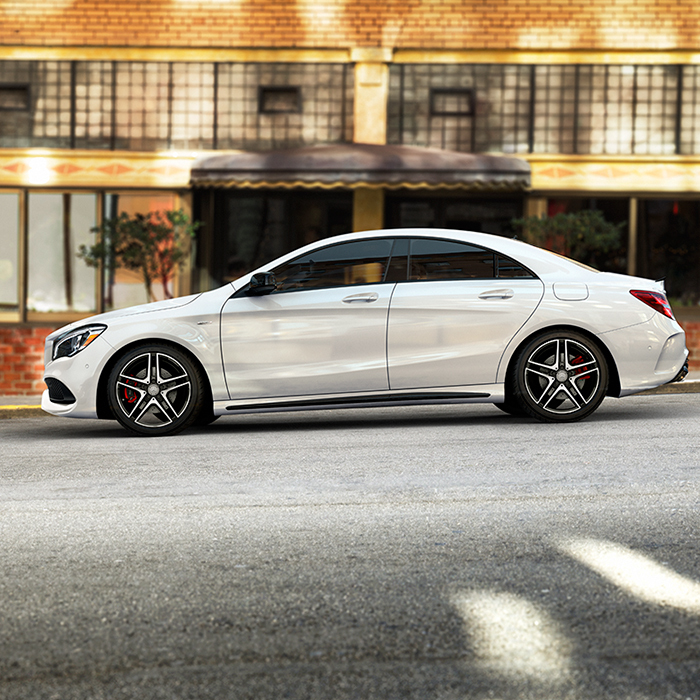 The new CLA features attractive four-door coupe design, luxury interior appointments, and an impressive turbocharged engine choice that’s fun to drive. At Ray Catena Union LLC, we have an excellent selection of 2017 CLA’s available in multiple colors and styles. We have the new Mercedes-Benz you’ve been looking for. 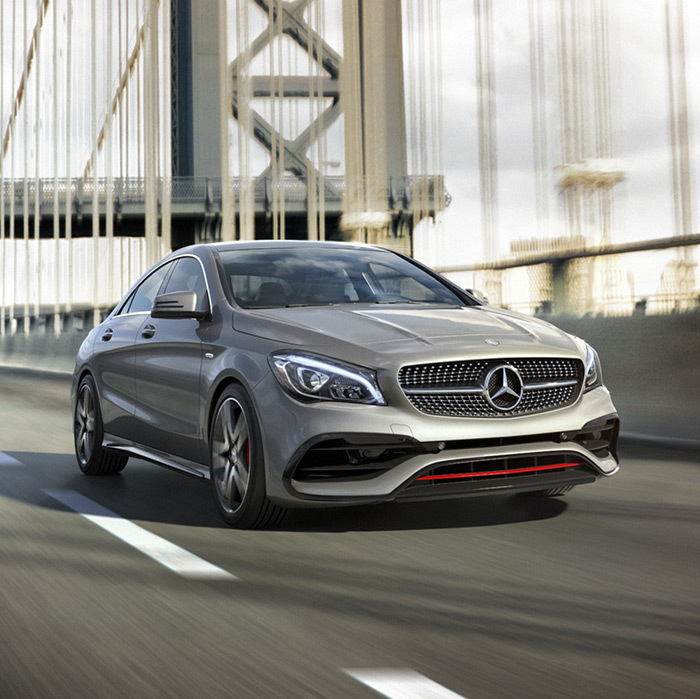 To learn more about the 2017 CLA, or to explore any of the other vehicle or services on our website, contact us, call, or visit Ray Catena Union LLC today. We look forward to shaking hands on our showroom floor. The 2017 Mercedes-Benz CLA features a flowing exterior design with aerodynamic curves and a bold front fascia. An all new wheel design gives the CLA 17-inch alloys with five wide and elegantly sculpted spokes. The interior is laced with high-quality materials like premium leather seating, soft-touch surfaces, and a leather-wrapped steering wheel for an impressive look and feel. Staying connected and controlling the CLA’s infotainment system is an easy task thanks to the central controller and 8-inch color display. Drivers can intuitively access audio, video, hands-free calling, navigation, and more. Optional features like iHeart Radio, in-car Wi-Fi hotspot, and SiriusXM Radio are available. Visit Ray Catena Union LLC for a full tour of the features available in the 2017 CLA. 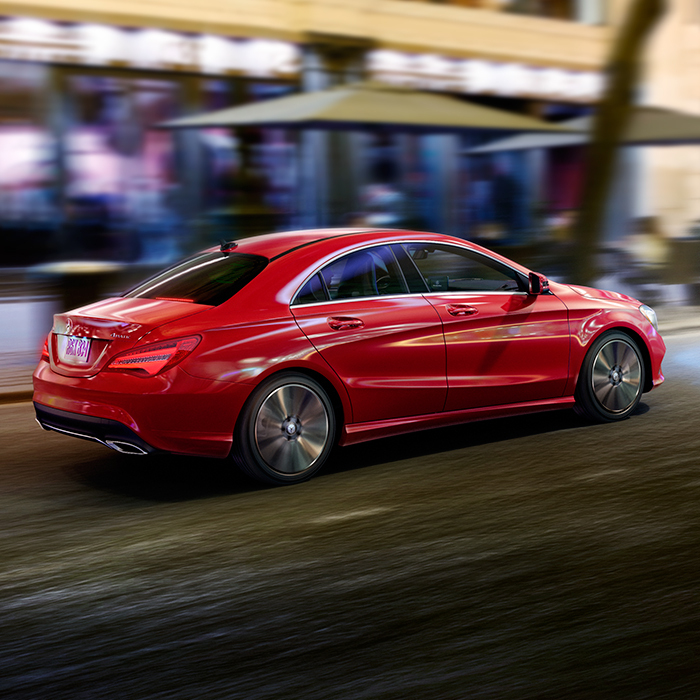 The new CLA comes fitted with a turbocharged 2.0-liter inline-4 engine that makes 208 horsepower and 258 lb-ft of torque while earning an impressive 24 MPG* in the city and 36 MPG* on the highway. The fuel tank carries 14.8 gallons of premium unleaded gasoline, meaning the 2017 CLA has an outstanding highway range of up to 532.8 miles. The turbocharged engine is paired with a 7-speed DCT dual-clutch automatic transmission for added fuel efficiency and smooth shifting from any speed. To test drive the 2017 Mercedes-Benz CLA, contact us, call, or visit Ray Catena Union LLC today. We can’t wait to hand you the keys. At Ray Catena Union LLC, we’ve earned the trust of the local community by delivering world class customer service and one of the best selections of new and used vehicles in the area. When you visit Ray Catena Union LLC, you’ll be greeted with a handshake and a smile from a Mercedes-Benz expert who’s excited to find the right car for you. For more information about the 2017 Mercedes-Benz CLA, or anything else you find on our website, contact us or visit Ray Catena Union LLC. We look forward to working with you. Ray Catena Union LLC proudly serves drivers from Union, Westfield, and Plainfield, NJ.